The Florida Gators win easily over the Eastern Michigan Eagles 65-0 to kick off their first game of the 2014 season. The Florida Gators open their season with a blow out win over the Eastern Michigan Eagles 65-0. 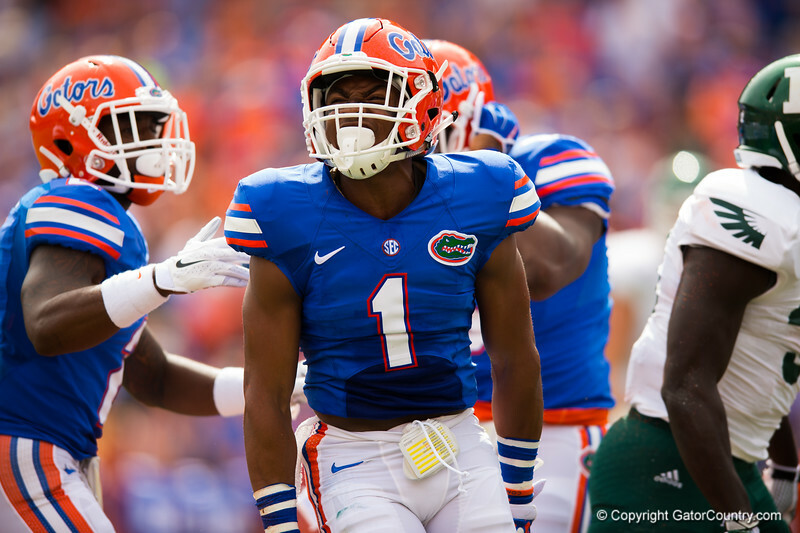 Florida Gators defensive back Vernon Hargreaves, III celebrates in the first half after a 3rd down stop. Florida Gators vs Eastern Michigan Eagles. September 6th, 2014. Gator Country photo by David Bowie.